How we all long to be healthy and how many miles are we willing to go to for leading a healthy life? The only problem is that most of the health foods taste insipid and are not attractive enough to eyes and seldom please the tongue. All things unhealthy, and long term enemies of the body look good and appetizing. The eyes turn in their direction, as if a beautiful girl has gone past. The cheese burgers, sandwiches, pizzas, thick shakes with rich toppings of cream and chocolate always win the race being run in the mind. Preference for something drab and unattractive like a boiled vegetable, sprouts or green leafy salad is always low as it rarely looks good or excites the taste buds. Most of us are used to a sedentary lifestyle and seldom like to go out for exercises, thus the layers of fat never seem to melt. The discussions on food with friends always move in disagreements just like the talk shows hosted by Arnab Goswami and Rajdeep Sardesai. I remember the times when undergoing the training at Naval Academy, the long runs and the evening sports coupled with drills at parade ground left us hungry after each meal. Just after the sports in the evening we would gather at the canteen to polish of packets of glucose biscuits and locally brewed cold drinks to make up for the calories burnt on the field. Everyone helped on heaps of rice or bread/ chappatis on the lunch or dinner table. No one gained even a pound of extra weight. I remember the shocked look of the family members on returning home for vacation after training, on noticing the frail demeanor and having lost all the chubbiness. In the later years the ‘ battle of the bulge’ is on going and struggle to keep the weight in check always high on agenda. Slowly, the sandwiches, parathas, pakoras and pooris, became rarer. In lieu oats, dalia, muesli, and cornflakes with occasional helping of upma, poha and sevian became more permanent companions. The weight watch diets being followed by all and sundry affected the regular eating habits. Multi grain atta was preferred over the gluten rich wheat and maida. The relatives and frail ladies in the neighborhood talked about benefits of quinoa, rye, millets, amaranth over the greasy parathas. The west wind blew in the direction of my home as I noticed new additions on food shelf like honey, green tea, flax and sesame seeds .Herbs like basil, ginger, mint , coriander and garlic are used in a more pronounced manner. I took a bow to acknowledge that ’change is the only permanent’ in life. It is important to move with the time when it comes to food, fashion and technology lest be labelled as a ‘laggard’. Needless to say the benefits of health foods are universally acknowledged and coupled with exercises help in keeping body in good physical and mental shape.After all , 'heath is wealth'! We are what we eat. No sugar and less carbs help me a lot. That is if I am able to maintain strict discipline. 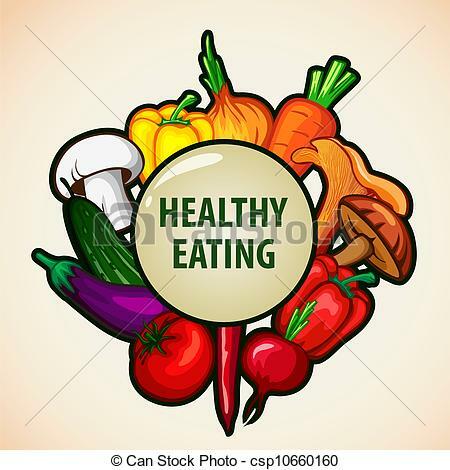 Today healthy eating for some people would be eating a whole wheat pizza with less cheese and more vegetables, or a yogurt dessert. For me, healthy eating is less oily food and more fruits and vegetables. That is true, Rachna, but people some times think that only diet can make the difference but exercise also plays an important role. Since you were doing all sorts of exercises, you had to eat a lot. Now, less physical exertion, so the intake is less. I don't do pooris once a month....otherwise phulka rotis, punjabi sunji once a week, our koottu (vegetables with coconut and moong dhal) and greens are the daily routine. All are health conscious now. I used to cook all types of oily food, cakes, icecreams etc. when the children were in school. After college, stopped! Since we don't have much physical activity, eating healthy food and exercising has become very important. Yes - healthy eating is a must!